Der Artikel Siegfried Wagner (1869-1930): Der Schmied von Marienburg wurde in den Warenkorb gelegt. 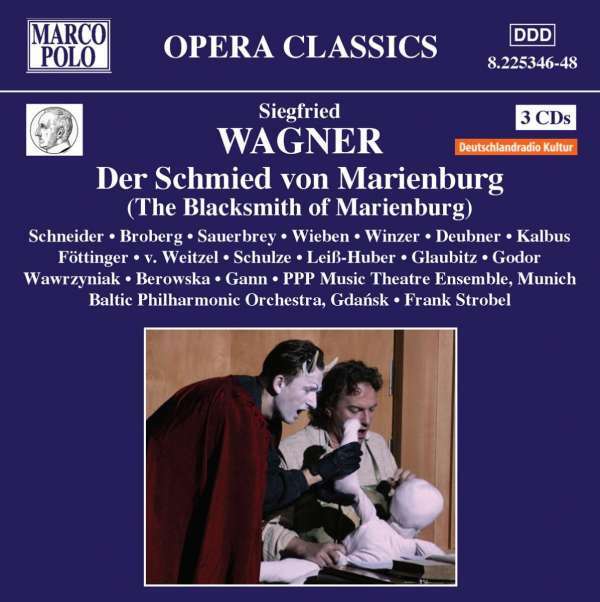 The operas of Siegfried Wagner, first son of Richard Wagner and grandson of Liszt, are gaining recognition as important works in their own right, as this new recording of his thirteenth opera, Der Schmeid von Marienburg (composed in 1920 and premièred in Rostock in 1923), shows. Indeed, it ranks alongside Der Bärenhäuter (8.223713-14) and Der Kobold (CD 8.225329-31, DVD 2.220003-04) as one of his most accomplished. 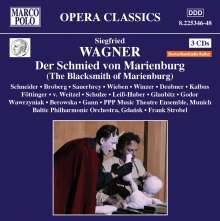 Like his father, albeit in a highly individual way, Siegfried Wagner was a master orchestrator and compelling theatrical storyteller.